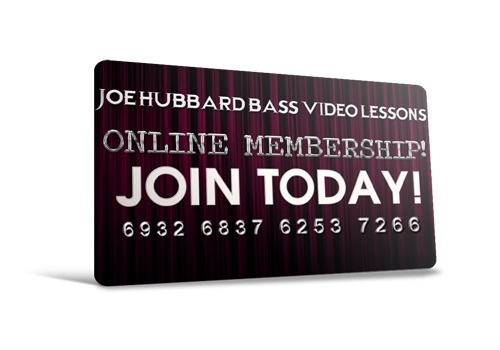 Enter Your Name & Email Address and I'll Send You Three Bass Video Lessons for FREE! HIGH PERFORMANCE ONLINE BASS VIDEO LESSONS! 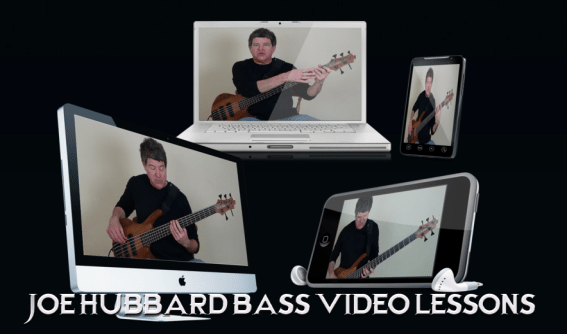 High Definition Bass Video Lessons with PDF Worksheets! IPod, IPad and Andoid Compatible! FREE LESSONS TO GET YOU STARTED! Three Membership Plans with Different Payment Options! Member's Discussion Forum for Feedback & Evaluation! New Lesson Content Updated Every Week! With over three decades of 'real-world' experience, internationally acclaimed bass guitar teacher Joe Hubbard will help YOU to become an even better bass player in the same way that he did with Pino Palladino, Paul Turner (Jamiroquai), Mike Mondesir (Billy Cobham) and countless others- all with equal success!